This Saturday will be the end of the fall season for The Farmers Market at the Arts Center, from 6-10 a.m. If this turkey-sized Kushaw Squash is not your style, there is other produce available: hot and bell peppers, sweet potatoes, pie pumpkins, greens, and a few tomatoes. Last chance for local produce this weekend. Buy local. 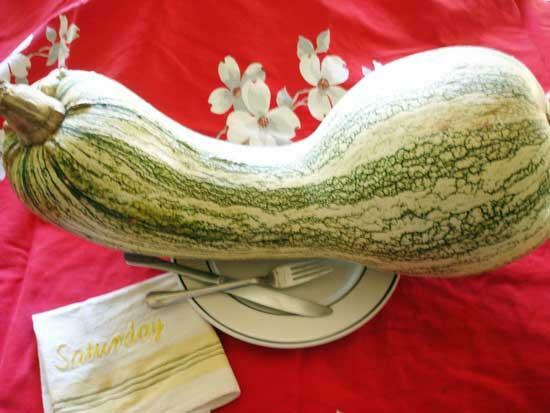 Feed your family healthfully with giant squash! Look for the full crop of farmers to be back, Spring 2012.